I'm looking for a dual coil RDA like the Nudge 24mm. This thing seems to have gone mostly under the radar for everyone, but I get a really dense, flavourful vape off this thing, more so than any RDA/RTA I've tried. It's almost a bit too much, but that's just what I look for from my vape purchases. So obviously I really like it. What I don't like is that it doesn't have a top cap. I don't squonk, I have an RTA that I really like too for when I'm out and about, so I just drip. The Nudge only has the outer "shell" that you have to remove every time you re-drip (I've had mixed results dripping through the drip tip, so I decided to stop. It's also really annoying to build on due to the deck design. It's doable, but I would rather something easier to build on so I don't dread having to change my coils. Due to these issues, I am looking for a more 'convenient' RDA, so if somebody previously enjoyed the Nudge 24mm like I did but found an upgrade, please let me know. I’m looking for a dual coil RDA like the Nudge 24mm. This thing seems to have gone mostly under the radar for everyone, but I get a really dense, flavourful vape off this thing, more so than any RDA/RTA I’ve tried. 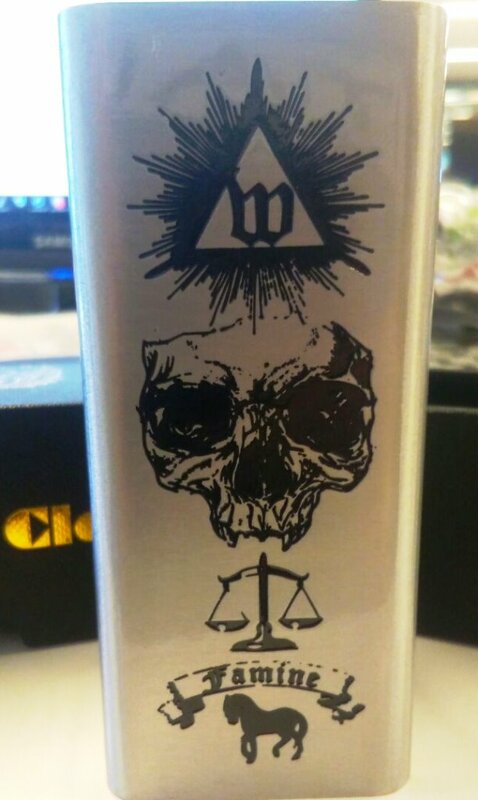 It’s almost a bit too much, but that’s just what I look for from my vape purchases. So obviously I really like it. What I don’t like is that it doesn’t have a top cap. I don’t squonk, I have an RTA that I really like too for when I’m out and about, so I just drip. The Nudge only has the outer “shell” that you have to remove every time you re-drip (I’ve had mixed results dripping through the drip tip, so I decided to stop. It’s also really annoying to build on due to the deck design. It’s doable, but I would rather something easier to build on so I don’t dread having to change my coils. Due to these issues, I am looking for a more ‘convenient’ RDA, so if somebody previously enjoyed the Nudge 24mm like I did but found an upgrade, please let me know.